Arab League Joins The ISIS Fight, Vowing To Suppress It "Militarily and Politically"
As President Obama prepares to go public with an official plan to stop the Islamic State (ISIS), several international organizations are pledging their support and assistance. The latest group to join the ISIS fight is the Arab League, which met in Cairo on Sunday to discuss its involvement in the growing international coalition formed by 10 NATO member states announced last week. The head of the league, Nabil Elaraby, urged its members to join the fight both militarily and politically. At the foreign ministers' meeting on Sunday, Elaraby stressed the potential threat ISIS poses to the Arab world and called for a "clear and firm decision for a comprehensive confrontation" from the league's member states. Two of its founding members, Iraq and Syria, have already faced the threat as the jihadist group seized large territories in both countries and massacred thousands of innocent people. On Monday, Elaraby and the League reached a resolution to help combat ISIS, though they did not specifically confirm that they would be backing the U.S. in its military attacks. According to the Washington Post, the league's resolution calls for action on the "political, defense, security, and legal levels," but it did not elaborate further than that. The resolution comes the same day that a suicide bomber killed 16 people and injured 55 at a meeting of Sunni tribal fighters and security forces in Iraq. The Islamic State claimed responsibility for the attack in an online statement, the authenticity of which authorities are currently investigating. 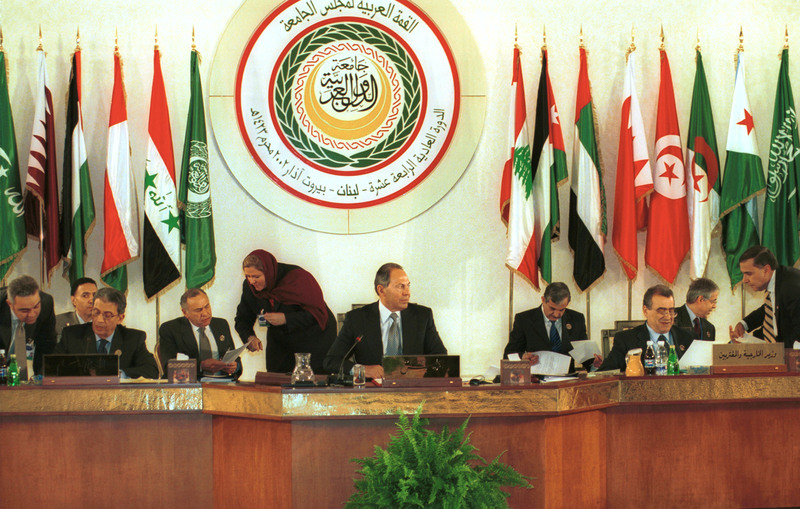 Formed in 1945 by six member states — Egypt, Iraq, Jordan, Lebanon, Syria, and Saudi Arabia — the Arab League is a regional organization of independent Arab States that currently has 21 members after suspending Syria in 2011 due to President Bashar as-Assad's brutal regime. Current member states include Algeria, Kuwait, Libya, Palestine, Qatar, and the United Arab Emirates. Strengthening of the relations between the member-states, the coordination of their policies in order to achieve co-operation between them and to safeguard their independence and sovereignty; and a general concern with the affairs and interests of the Arab countries. At last week's NATO Summit in Wales, preliminary discussions on forming an international coalition to destroy ISIS included the enlistment of countries closer to the fight. According to a source from the Obama administration, the U.S. is hoping to recruit Arab League countries in the region for intelligence and funding, in addition to strengthening Iraqi and Syrian troops on the ground. On its end, the Arab League pledged at Sunday's meeting to do whatever it takes to "suppress the flow of foreign fighters, financing, and other support to Islamist extremist groups in Iraq and Syria" in accordance with a U.N. Security Council resolution that passed last month. The league's resolution was formed under Chapter 7 of the U.N. Charter, which states that military action can be employed. Though the league did not outright confirm they would endorse the U.S. military campaign against ISIS, this stipulation suggests that a pact could be made in the future.